Support remote and distance learning by streaming and recording interactive lectures and lessons, providing students with full access to their lectures and lessons online. Users can participate and make private notes whilst viewing; educators can then upload supporting documents to accompany the recording for on demand viewing. Planet eStream supports capture from single or multiple sources from a variety of inputs; these include attached video devices such as cameras, computer desktop and IP video streams. The Planet eStream Live Encoder tool is a flexible application for live broadcasting and recording. It is ideal for those looking to make lessons or lectures available to students live or on demand. With an unlimited use license it is also extremely cost effective, ideal for site wide deployment and supports many inexpensive standard capture devices. 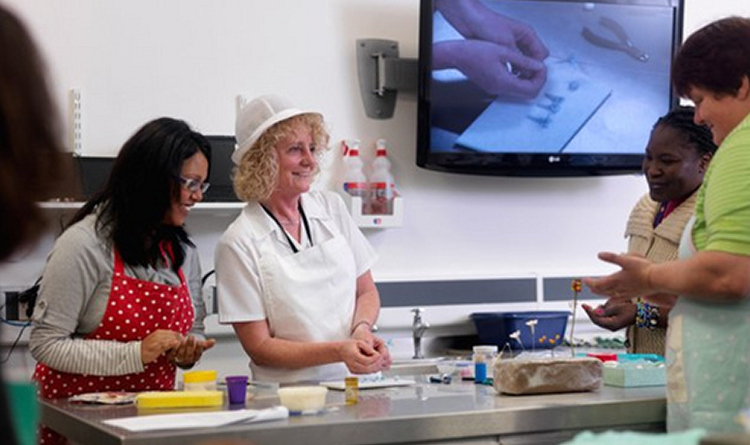 Planet eStream supports your pedagogy; live lessons, skills based sessions and tutorials can be recorded easily and made available on demand for access by students for flipped and blended learning applications. Choose to capture live video from local devices such as capture cards or USB dongles, IP network streams, and desktop screen capture for great flexibility. Planet eStream also supports directly connected audio devices such as microphones or audio mixers plus audio embedded into IP streams. 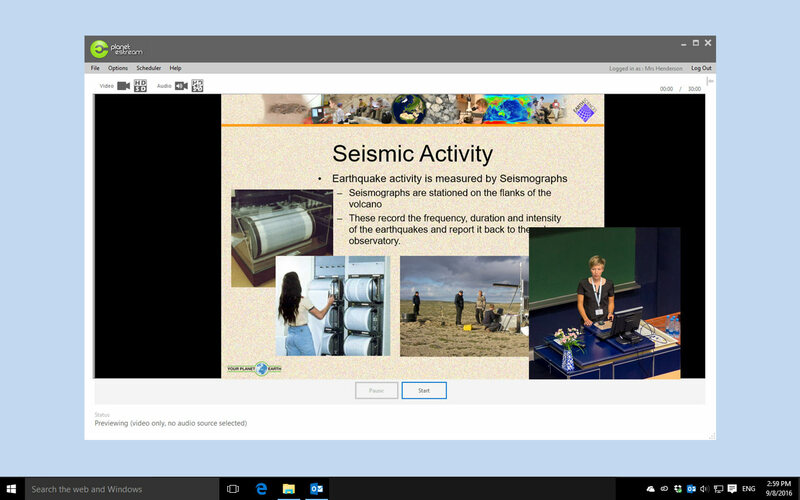 A great feature of Planet eStream, designed specifically for lecture capture applications is ‘Picture in Picture’ capture mode. This offers the ability to select two sources to either record for on demand access, or stream live. When delivering your lectures or lessons it’s a huge benefit to your audience if they can clearly see both the presenter and any presentation material simultaneously. Planet eStream offers excellent tools for encouraging engagement and discussion, viewers can participate via the global commenting feature. This tool enables participants to comment during live broadcasts and either educators or other viewers can respond. All comments are embedded on the on-demand recording so retrospective viewers can see the interaction and jump to the relevant sections of the recording where comments were made. Access to the commenting tool is controlled via Planet eStream’s permissions structure, but comments can also be moderated ensuring there is full control.